We planted over 30,000 pine trees starting in 1952. (10,000 trees a year for up to five years. 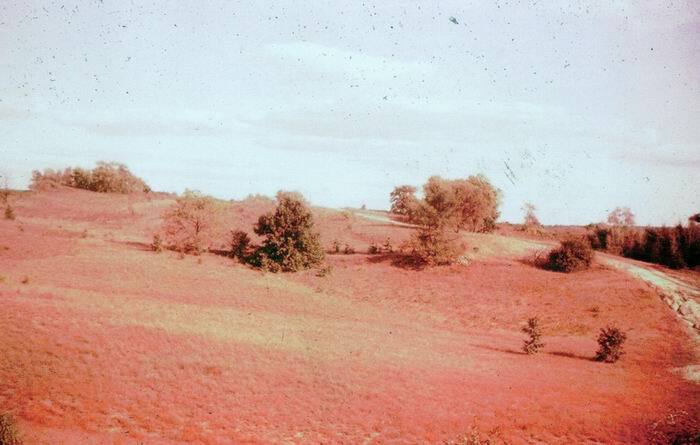 The first year some boy scouts helped plant them) We sold some as Christmas trees in 1958. Some of the White Pine trees may be donated to help rebuild the Whites Bridge. We planted Red Pine the first year followed by White Pine and Blue Spruce. The trees are over 60 years old. If anyone has any pictures we would appreciate it if you would post them to this site and/or email them to us. I am the current owner of this property. My father was Jerry Cusack. I have some pictures I would like to upload to this site but I''m not sure how. I would also like any pictures, news articles, etc. that others may have. My email is bob72839@yahoo. com. The remnants are certainly still there. 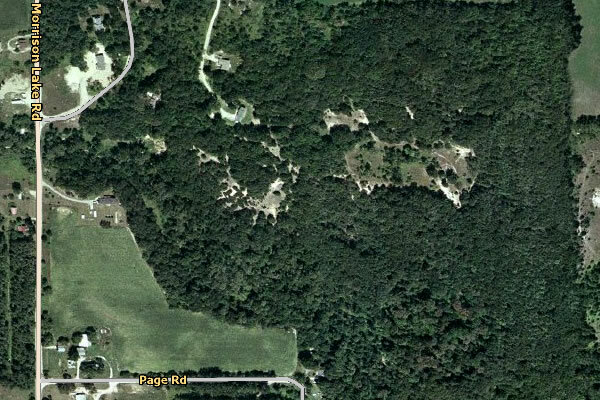 We snuck back in there (aka trespassed) to ride our quads as kids (about 10 years ago. ) We had heard stories about the track from our dad''s, so had to go check it out for ourselves of course. 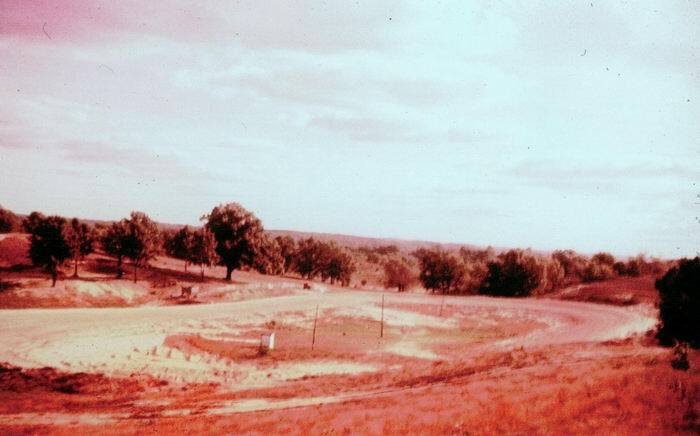 The track itself is a huge bowl still to this day, but is heavily grown up with trees and foilage. We did get to feel as though we went back in time by riding the bowl on quads (like a huge burm.
) We do not recommend anybody going back there, as we were rightfully chased out of there. We only went twice. It would be awesome if the land were to be loaned to the village to make a park or at least allow access to see it (on foot or pedal bike, not quad or jeep. ) It really is probably one of the coolest, and little known history items in our town. My father, Lyle Denny,Sr. was a big part of the history of the Saranac speedway as he was the sound man. He supplied the sound system from the first race season to the last. I was 7 years old at the time and I remember heading to the race track about 10:00 Sunday morning to put up all of the speakers and related equipment. The trees around the track served as our poles to mount the speakers on. I still have the 78 rpm record of the National Anthem that he played before each race day started. 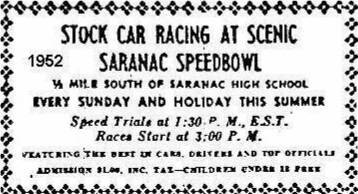 One thing that really stands out in my memory is that race track should have been the Saranac Dust Bowl as water was scarce. Another thing was someone came to the track with what I guess was concidered a super modified and kicked everyones fanny. I don''t remember ever missing a race day. I have some additional pictures of the track and some of the racing action. My neighbor lady used to race there without her parents being aware of it. For many years after it''s closing it was favorite place for us kids to play cowboys and indians and a few war games. It''s to bad these places of pleasure have to close down for what ever reasons. I am still a stock car racing fan today and my favorite driver is my son #28 Cody Denny. WOW THIS SITE ROCKS THE GUY THAT TOOK THIRD WILLAM BEARD IS ACTUALLY MY GIRLFRIENDS GREAT UNCLE. VERY COOL. As of 10 yrs ago,the layout of this track is still visable with a little imagination. you had to walk back through some nasty clay,but it was well worth the walk. i beleive this track only ran for 2 or 3 yrs. there is a lot of info that can be found in the old newpapers in the saranac library. 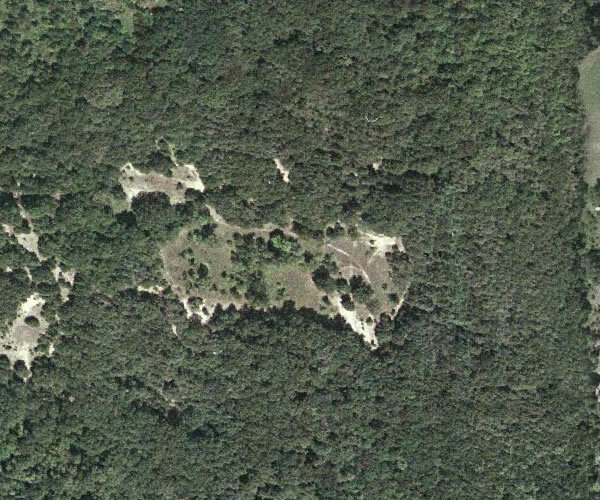 The remnants of the track still exist, but they are very grown up as woods now. The old road that went back to it is now just a trail. The land is closed to the public, as it is now a private residence. Victoria, do you know if the physical remnant of the old track still there?. I dont have much info but my father owns this property (his dad was the Jerry Cusack mentioned in the article as a co-owner). He might have more info and would certainly be willing to share what he has. I think his email address is bob72839@yahoo. com If that doesnt work, you can contact me. Victoria.